For hand shower wall mounts. Solid brass. Chrome. This KOHLER floor-mount foot control uses two machined-aluminum pedals to offer hot, cold and tempered water. It features loose-key stops and a self-closing mixing valve and 3/8" NPT inside-threaded inlets. Solid brass construction ensures years of reliable performance. The Forti wall supply elbow functions in a performance showering system and allows a handshower hose to be mounted nearly flush to the wall. It features solid brass construction and the transitional design complements a variety of bathroom dicor. Also available in store by special order only see store for details. This Forte wall supply elbow functions in a performance showering system, allowing your handshower hose to be connected nearly flush to the wall. It features brass construction that will remain sturdy for years to come. Its universal design complements all styles of bathroom decor. 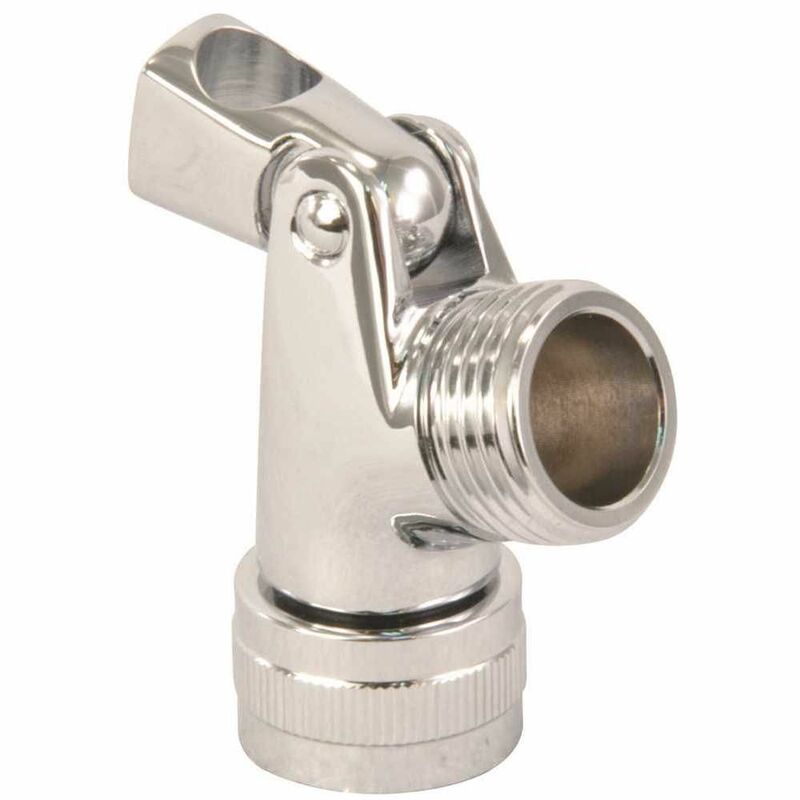 Swivel Connector Solid Brass Chrome For hand shower wall mounts. Solid brass. Chrome.